A food truck bringing healthy salads, meals and the occasional dessert to your office — that’s The Fitness Cafe for you! “Eat clean. Train hard. Stay fit.” That’s The Fitness Cafe’s motto and they’re doing everything they can to help us follow it. Focusing on nutritionally balanced and wholesome meals, the cool food trucks serve yummy, healthy food on a rotational menu. The latest to enter their list is Middle Eastern, Mexican and Oriental cuisine, that’s also healthy! 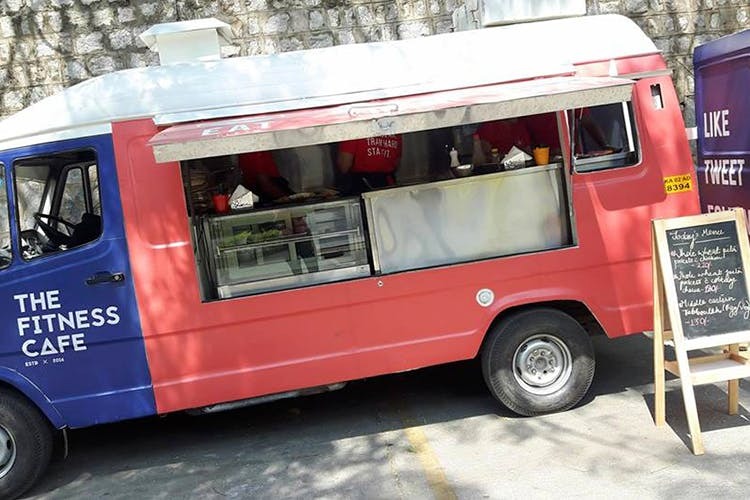 Right now, you can find their trucks at Bagmane Tech Park, Cessna Business Park and Embassy Tech Village. But fret if you’re not in those areas. They are working on getting to more Tech Parks around the city. The Fitness Cafe will also be home-delivering to HSR layout very soon!